China Mobile has reported a slower as expected 1.4% increase in its first half income, thanks to the economic slowdown, rising mobile penetration rate and increased competition. The world’s largest mobile operator by subscriber numbers recorded a net profit of $8.09 billion. However, quarterly profit fell for the first time since it listed 12 years ago with net income at $4.42 billion. Subs increased in the first half by 35.87 million to 493 million, but only signed up just under 1 million users on its TD-SCDMA 3G service. Despite the declining subscriber growth and the slow uptake of 3G, China Mobile experienced strong growth in its VAS services, such as mobile music, mobile gaming and M2M, which contributed 28.1% of its total revenues. The company expects rural areas and new VAS services, including its new Mobile Market app store, would continue to be the drivers for the growth forward. 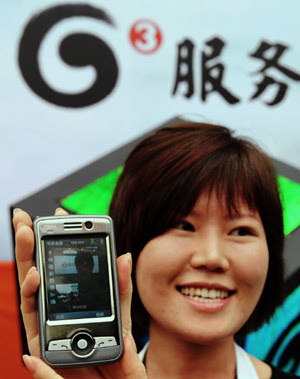 China Mobile is expected to remain the dominant operator for the next five years, its biggest challenge is 3G. If it cannot make TD successful or quickly move to 4G networks, it is in danger of losing its high-end customers. China Mobile would need to pump in more funding for handset development as the initial funding of slightly less than $100 million is just too small to resolve the terminal issue.